Testing for Arsenic in Wood Playgrounds, Decks, Etc. 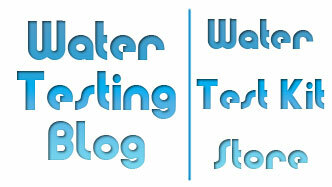 Once again all of us here at Water Testing Blog feel the need to mention a testing topic slightly off from our usual water testing subject — though in the end this discussion will come right back to it. Many different newspapers, magazines and other media outlets have published articles about the dangers presented by pressure treated lumber containing chromated copper arsenate. Studies have shown that over time, chromated copper arsenate treated lumber in wooden playgrounds, decks and other structured have a tendency to leach inorganic arsenic out of the wood, onto the ground, and potentially into the local drinking water supply. Children whose lives got thrashed apart by Hurrican Katrina returned home to their battered neighborhoods only to find their favorite playgrounds coated in cancer-causing arsenic which officials believe may have come from deposits of deeply buried old pesticide deposits which came to the surface when flood waters rushed through the city and eroded the soil, carrying the toxins wherever they went. More proof that arsenic in pressure treated wood poses a danger to the environment. . .
“TALLAHASSEE — The U.S. government plans to take more than 1,000 samples at wooden playgrounds around the country to find out if the arsenic in pressure-treated lumber is leaking out. The testing could start as soon as November, according to a draft plan released this week by the U.S. Consumer Product Safety Commission and the U.S. Environmental Protection Agency. The government’s action follows a series of studies around the country — including soil tests commissioned by the St. Petersburg Times — that show that arsenic is leaking out of pressure-treated wood, one of the most popular building products in America. The wood is infused with a pesticide called chromated copper arsenate, or CCA. EPA plans to make random calls to city parks, private schools, day care centers and public schools, asking for permission to test. The Consumer Product Safety Commission plans to test about 75 playgrounds, and also test lumber purchased at home-improvement stores around the country. Government testers plan to take some 750 soil samples. The strategy could change, though, in the next month. It becomes final after a 30-day public comment period. Ordinary pressure-treated lumber has enough toxic chemicals in it to rank it as a hazardous waste, but the industry got a special exemption years ago from hazardous waste laws. The wood is banned in several countries. Some advocates hope the federal study will lead to a ban on pressure-treated wood at playgrounds, where children can pick up traces of arsenic. To find out whether pressure-treated lumber leaks arsenic, the Times commissioned soil tests around five wooden playgrounds, picked randomly in the Tampa Bay area. Every test came up positive for arsenic, at levels higher than the state allows when polluters clean up contaminated neighborhoods. Pressure-treated wood executives agree that arsenic leaches out, but say the levels are too low to worry about. Arsenic can also cause neurological problems, birth defects and other kinds of cancer. The Environmental Working Group and the Healthy Building Network filed a petition with the Consumer Product Safety Commission last spring, asking the government to ban arsenic-treated wood on playgrounds. That petition will be addressed at a public meeting in Bethesda, Md., Oct. 3. On Oct. 22, a scientific panel convened by the EPA will explore the risk that arsenic-treated lumber may pose to children. The wood-treatment industry is facing legal and regulatory challenges all over the country. In Miami, a federal class-action lawsuit says the industry and home-improvement stores were negligent because they didn’t warn consumers that the wood contained toxic chemicals. The EPA ordered the wood-treatment industry to add more warning labels on the wood, which should show up in stores before the end of the year. Wood-treaters are also facing several personal-injury claims from people who say they have been poisoned by the wood. Some of those claims, including one filed by a Seattle teacher who was poisoned by arsenic wood when he built a raft, have been settled. In Congress, U.S. Sen. Bill Nelson, D-Fla., is pushing a measure that would force the EPA to issue a report on arsenic-treated wood in just 30 days. He praised the government’s plan to do more tests. In Florida, state Rep. Larry Crow, R-Dunedin, is pushing to ban arsenic-treated wood on playgrounds. The Florida Department of Environmental Protection has stopped buying arsenic-treated lumber for state parks, and the Florida Department of Health has convened a scientific panel to look at the risk that the wood may pose to children. There are safer alternatives to arsenic-treated wood, and some of the same companies that sell arsenic-treated wood in the United States also sell the environmentally safer kind in countries that have banned arsenic-treated wood. This summer, a Florida wood-treatment company became the first in state history to start treating wood without arsenic. No demand for safe lumber? Cost probably plays a factor in that, but that topic can get debated elsewhere. No one on the Water Testing Blog staff has a degree in Economics. . . but we all care about keeping dangerous compounds such as arsenic out of our (and your) drinking water. Remember: Inorganic arsenic leaching from pressure treated wood typically goes into the ground where it can find its way into a stream, a river, the aquifer, someone’s well, and eventually someone’s drinking water. How Can Homeowners Test for Arsenic in Wood? International Aid Organizations worldwide make use of QuickTM Arsenic testing kits to detect arsenic levels in water, wood and soil. 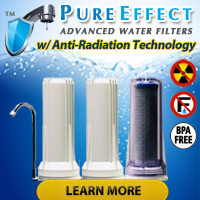 « Drinking Water Filters: What is Reverse Osmosis?